WOW! Absolutely Immaculate 1 Owner Cummins with a Clean Carfax! This Crew Cab Laramie just got upfitted with Brand New 35x12.50x18 Toyo Open Country A/T2 Tires and 3" Leveling Kit! 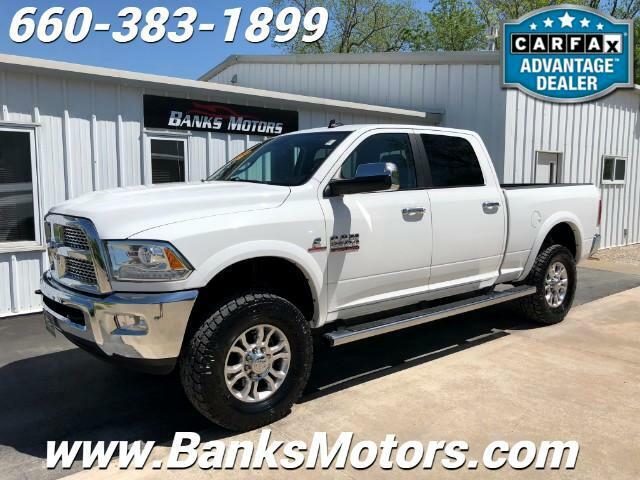 This truck is Loaded with Impressive Features which include.....Heated and Cooled Leather, Backup Camera, Heated Steering Wheel, Bluetooth, Mounted Audio Controls, Dual Power Seats, Power Folding Mirrors, Integrated Trailer Brake Control, Dual Climate Controls, Alpine Audio System, Power Sliding Rear Glass, Remote Start, Headliner Mounted Speaker, Keyless Entry, UConnect, Tow Package and so much more!! We are located in Clinton, MO, less than an hour southeast of Kansas City! No Games, No Gimmicks, Just the Right Way of Doing Business!